Deluxe Front View (SGL) 2,100 THB. 2,300 THB. 2,800 THB. Deluxe Pool View (TWN / SGL) 2,300 THB. 2,500 THB. 3,000 THB. 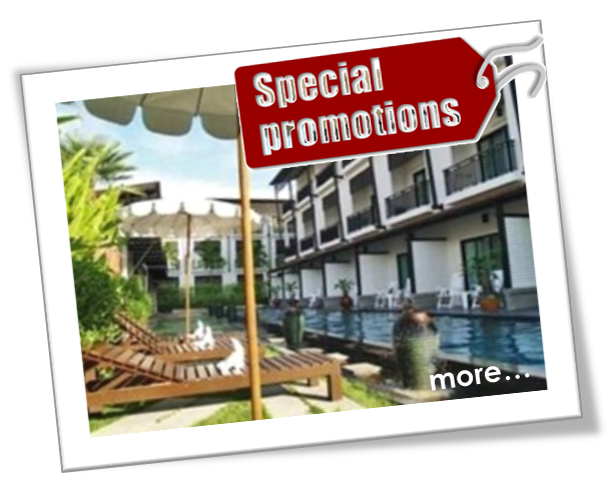 Deluxe Pool Access (SGL) 2,900 THB. 3,500 THB. 4,000 THB. Phuketa Executive Suite (2 SGL) 5,000 THB. 5,500 THB. 6,000 THB. Extra bed is 800 THB per person including of ABF. Transfer fee is 700 THB per trip. Any cancellation received within 30 day/s prior to arrival will incur the first 1 night/s charge. Any cancellation received within 14 day/s prior to arrival will incur the full period charge. Any cancellation received within 14 day/s prior to arrival will incur the first 1 night/s charge. Any cancellation received within 7 day/s prior to arrival will incur the full period charge. Any cancellation received within 7 day/s prior to arrival will incur the first 1 night/s charge. Any cancellation received within 3 day/s prior to arrival will incur the full period charge. Failure to arrive at your hotel will be treated as a No-Show and no refund will be given (Hotel policy). Deluxe Front View ( Double) 14,000 THB. 10,000 THB. Deluxe Pool View ( Double) 18,000 THB. 14,000 THB. Free water supply 10 units per month. The extra will be charged at 10 THB per unit. Free electronic 400 units per month. The extra will be charged at 7 THB per unit. Free house keeping service twice (2) per week with complimentary of 2 bottles of drinking water. Free linen service changing one (1) time per week. Free Cable TV 80 channels. One month advance deposit and one month security deposit will have to be paid on arrival date. Hotel will refund the full amount of the security deposit after contract end and reserved not be refundable for early termination of the contract.